Conservationists with the Ancient Forest Alliance and Sierra Club BC joined representatives from the Public and Private Workers of Canada (PPWC) forestry union and the Port Renfrew Chamber of Commerce to shine a spotlight on needed government policies to protect BC’s old-growth forests and ensure a sustainable, value-added, second-growth forest industry, during the 2017 Forest Stewardship Council (FSC) General Assembly in Vancouver. 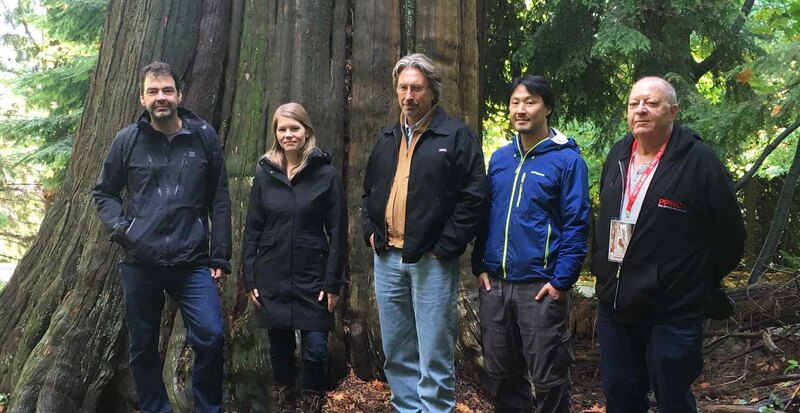 Left to right: Jens Wieting, Forest and Climate Campaigner, Sierra Club BC; Andrea Inness, Forest Campaigner, Ancient Forest Alliance; Dan Hager, President, Port Renfrew Chamber of Commerce; Ken Wu, Executive Director, Ancient Forest Alliance; Arnold Bercov, President, Public and Private Workers of Canada. Photo and media conference by an old-growth redcedar tree in Stanley Park, October 10, 2017. Vancouver, BC – A coalition of BC environmentalists, unions, and business representatives is taking shape and, with the 2017 Forest Stewardship Council (FSC) General Assembly underway this week in Vancouver, the groups are calling on the new BC NDP government to take action to protect the province’s endangered old-growth forests and ensure a sustainable, value-added, second-growth forest industry. The Ancient Forest Alliance (AFA), along with representatives from the Port Renfrew Chamber of Commerce and the Public and Private Workers of Canada (PPWC), representing thousands of forestry workers across BC, and Sierra Club BC, held a press conference on Tuesday among the old-growth trees of Stanley Park to discuss the new forest policies they want the BC government to implement. The 2017 Forest Stewardship Council (FSC) General Assembly being held in Vancouver brings together forestry sector leaders from around the world, including representatives from industry, unions, environmental NGOs, Indigenous groups, and government policy makers. The Ancient Forest Alliance is asking for a series of policy changes that can be rolled out over both short- and longer-term timelines. This includes a comprehensive, science-based law to protect old-growth forests, partly modeled after the ecosystem-based management approach used in the Great Bear Rainforest, which set aside 85% of the forests on BC’s north and central coast. 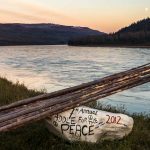 It also includes financial support for sustainable economic development and diversification of First Nations communities, known as “conservation financing,” while supporting First Nations land use plans. While these longer-term solutions are being developed, an interim halt to logging in old-growth “hotspots” – areas of high conservation value – must be implemented to ensure the largest and best stands of remaining old-growth forests are kept intact while a larger plan is developed. There are also a number of policies that can be readily implemented more quickly. For example, the BC government is currently finishing work on developing a Big Tree Protection Order as a policy option, which if implemented would protect the biggest trees on the coast with buffer zones. In addition, forest reserves such as many Old-Growth Management Areas that currently exist only on paper should be made legally binding, and the system should be quickly expanded to protect additional endangered old-growth forests. The NDP government should also direct BC Timber Sales (BCTS), the BC government’s logging agency, to discontinue issuance of old-growth cut blocks. 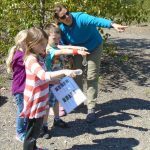 Finally, annual funding needs to be directed to establish a park acquisition fund, which would allow the BC government to purchase and protect private lands of high conservation, cultural or recreational value. The forestry worker unions, PPWC and Unifor, agree there needs to be regulations and incentives in place that ensure a value-added second growth forest industry. Recommended regulations include increasing the province’s log exports tax on second-growth logs and banning or quickly phasing out the export of old-growth log exports. Incentives include providing relief on PST, stumpage fees or property taxes for companies investing in second-growth milling equipment. In addition to unions, the AFA works closely with the business community, like the Port Renfrew Chamber of Commerce, which has led BC’s business community in rallying behind old-growth protection for economic reasons. The groups are urging the Ministry of Forests to consider the province’s broader business community, which also has a stake in responsible forest policy and conservation. “We have learned in the Great Bear Rainforest that solutions for old-growth conservation, communities, and certainty for forestry are possible. We are losing the remaining old-growth on Vancouver Island at a faster pace than primary rainforest gets logged in tropical countries. The climate crisis means that we must keep carbon stored in old-growth forests, which must now be considered a non-renewable resource and will not grow back as we know it. The time for action is now,” said Jens Wieting, forest and climate campaigner, Sierra Club BC. In recent times, the voices for old-growth protection have been quickly expanding, including numerous Chambers of Commerce, mayors and city councils, forestry unions, and conservation groups across BC who have been calling on the provincial government to expand protection for BC’s remaining old-growth forests. The Ancient Forest Alliance is calling on the BC government to implement a comprehensive science-based plan to protect all of BC’s remaining endangered old-growth forests, and to also ensure a sustainable, value-added second-growth forest industry. The NDP’s 2017 election platform states that “In partnership with First Nations and communities, we will modernize land-use planning to effectively and sustainably manage BC’s ecosystems, rivers, lakes, watersheds, forests and old growth, while accounting for cumulative effects. We will take an evidence-based scientific approach and use the ecosystem-based management of the Great Bear Rainforest as a model.” (see page 61 of their platform at: https://action.bcndp.ca/page/-/bcndp/docs/BC-NDP-Platform-2017.pdf). If taken literally and seriously, this would almost certainly result in the protection of the remaining endangered old-growth forest on BC’s southern coast and in the BC Interior, where old-growth forests are far scarcer and more endangered than in the Central and Northern Coast (Great Bear Rainforest) where 85% of the forests (including the vast majority of the old-growth) were set aside in protected areas and under the ecosystem-based management.